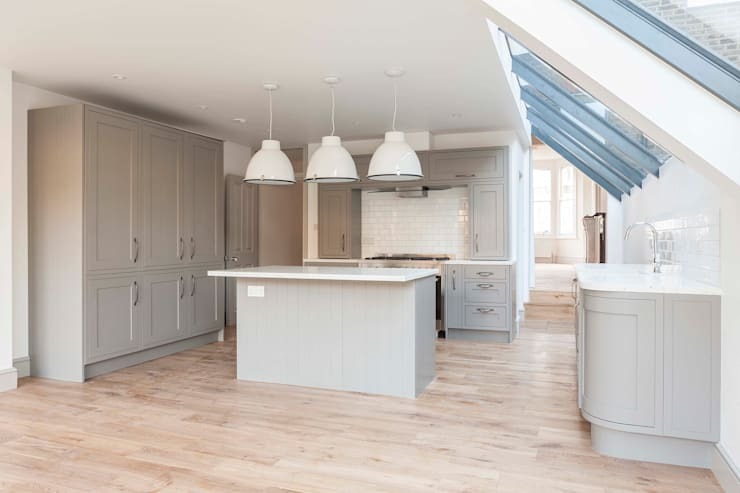 About to build your dream kitchen? Have you taken a note of all the essential ingredients of a perfect kitchen? Not yet? Then this is the right time for you to do so. After all, maintaining a healthy kitchen environment is extremely important for the wellbeing of your family members. 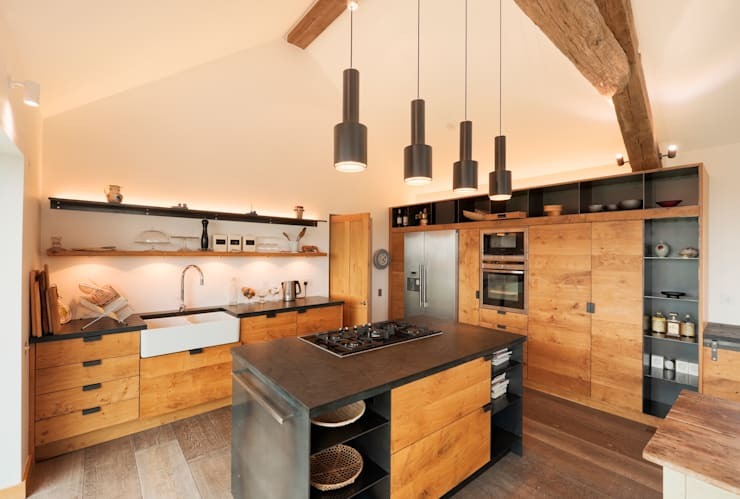 Go through the following list and find out if you are missing on any of the important elements of a perfect kitchen design. Never skip the planning phase. It may seem to be wastage of time for you. But just be a little patient. Find out what would work well and what not for the space you are about to decorate. Give precedence to comfort and efficiency of design. 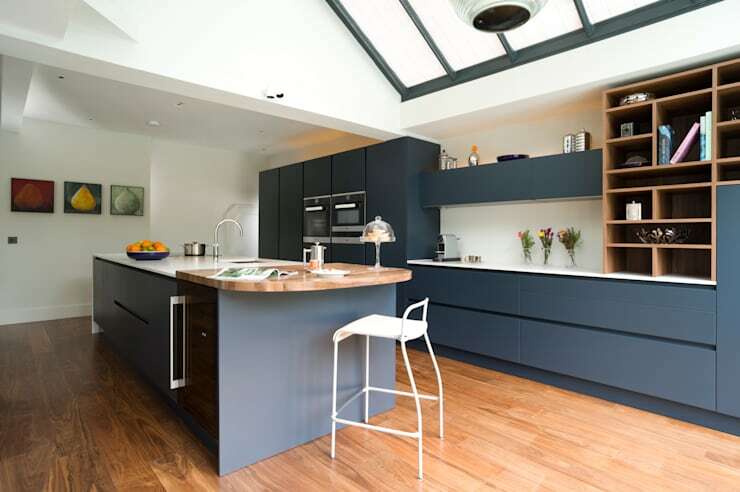 When in doubt never hesitate to get in touch with an experienced kitchen designer. You have a variety of options available for the kitchen worktop. You may install a hardwood worktop which is durable and long lasting. Granite and marble worktops look elegant. 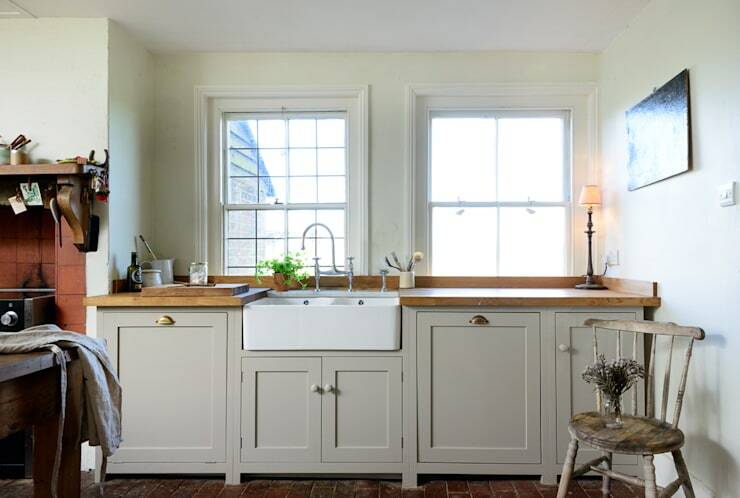 You may also build a statement kitchen using sandstone, limestone or quartz. Stone worktops are stylish, heat resistant and very durable. Aluminium worktop is highly preferred in professional kitchens. You may install one in your residential kitchen too. It is water and heat resistant and easy to clean and maintain. 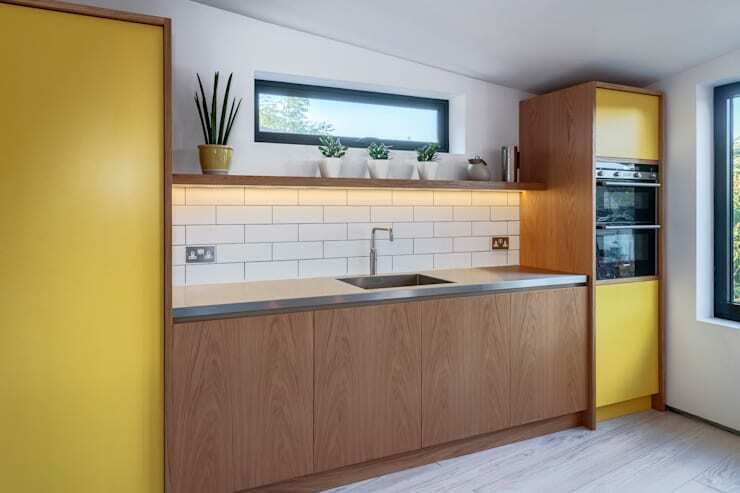 Install focus lighting fixtures on top of the worktop and on the wall behind the oven. Chic pendant lighting increases the beauty of the interior and keeps it bright all day long. Under cabinet LED lighting fixtures are growing in popularity. 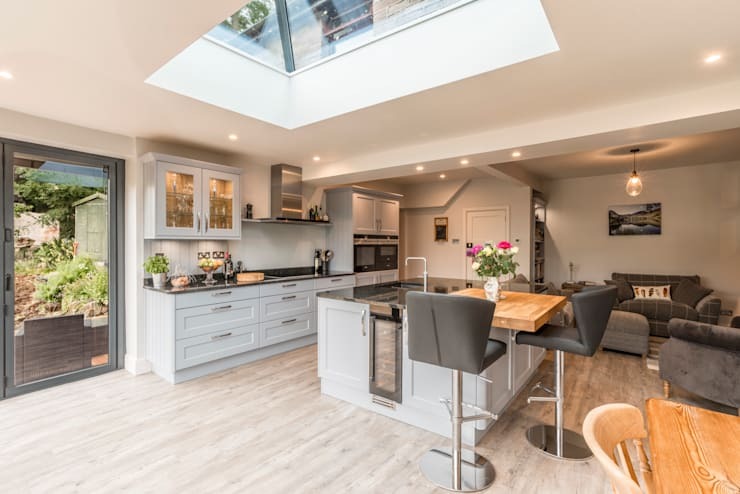 Try to have as many windows or skylight installations in your kitchen as possible. 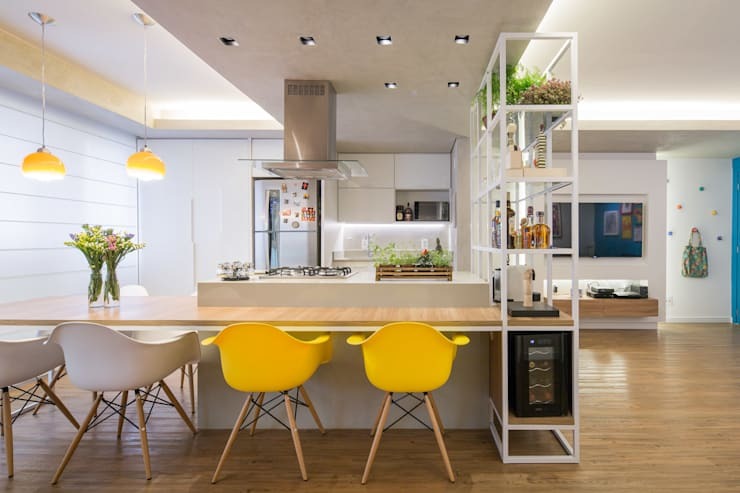 It will help you design a bright, cheery and healthy kitchen environment. This is a functional piece of hardware which can act like a decorative art installation. Besides, you would not like to buy a faucet every single year so choosing a quality faucet is all the more necessary. Buy a faucet with hot and cold water dispenser for extra comfort in the winter months. The importance of choosing the right kind of cabinet cannot be insisted enough. You will resolve many of storage related concerns by opting for a built-in kitchen. This is especially useful for small apartments or residential dwellings. Make use of the space on the wall. 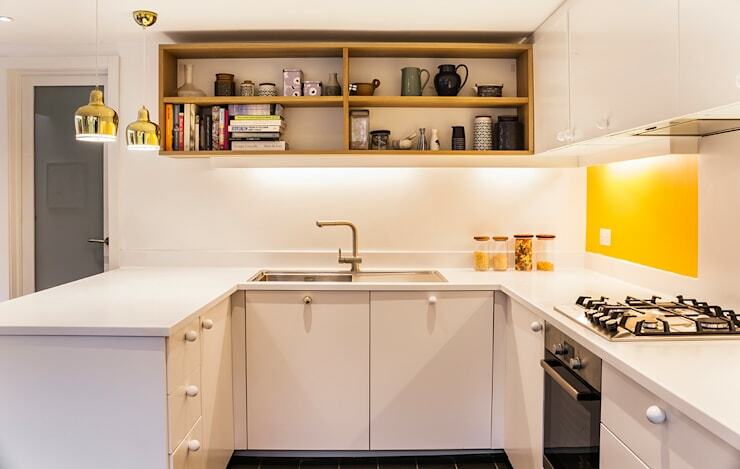 Install floating cabinets and maximise the storage space. Choose the right type of backsplash to preserve your walls from water or oil. Ceramic wall tiles are by far the most popular material for designing the backsplashes. They are water repellent and do not encourage the growth of mould and mildew. They are also very easy to clean. So with their presence in the kitchen it is extremely easy for a busy homeowner like you to maintain a hygienic kitchen. Stainless kitchen sink is an obvious choice for many homeowners. It is sleek, durable and not prone to rusting or rotting. But stainless sinks may develop scratch marks very easily. However, it is not the only option for you. Some of the other alternatives include sinks made of granite, quartz, cast iron and ceramic. You may also opt between single bowl and double bowl kitchen sinks. Kitchen floor should be water repellent, easy to maintain and stylish. Porcelain and ceramic tiles answer to all these requirements. Besides, they are very affordable. So naturally they are a very popular kitchen flooring material. You may, however, opt for stone or wood flooring as well. Stone flooring is extremely sturdy and long lasting. Though natural stone flooring is expensive, it is a worthy investment. It is also easy to maintain. The charm of wood, on the hand, is very difficult to ignore. As a material, it is quite durable too. You may even install concrete tiles in your kitchen. Place your oven away from the windows. Depending on your usage pattern, you may choose between induction, ceramic or gas hobs for your oven. Built in ovens will greatly help you declutter the interior of a small kitchen. Invest in quality materials to avoid the hassles of repeated changes and also for the safety of your kitchen. 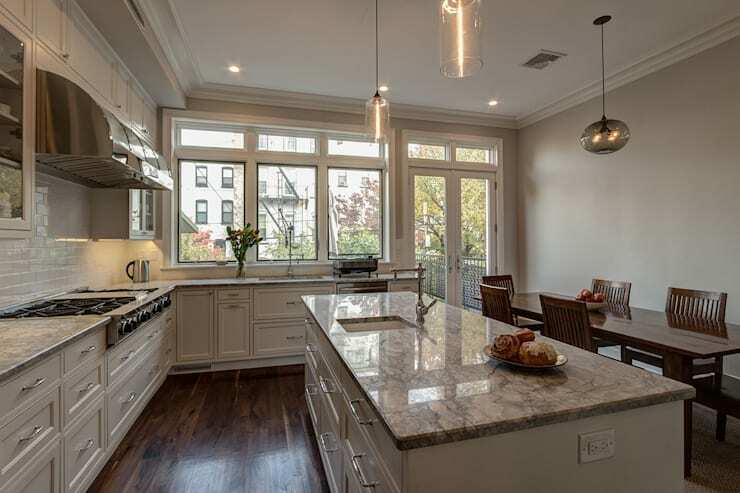 For inspirations, check out these trendy kitchens with built-in ovens. 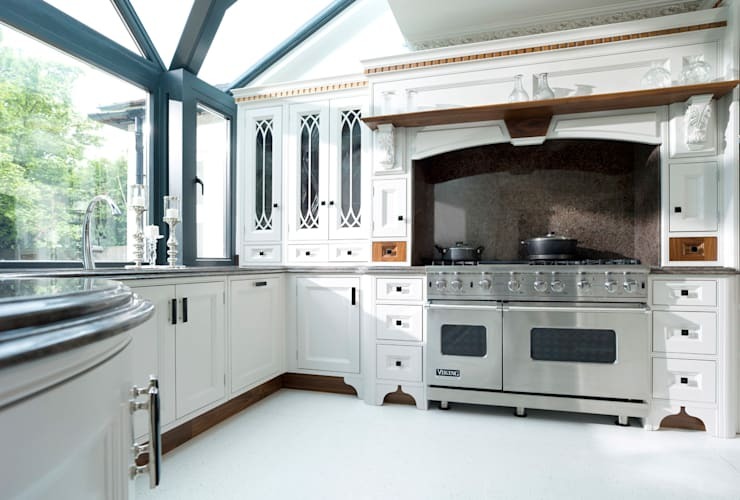 Opt for a quality kitchen hood or chimney to keep the interiors clean. If you are having an open plan living room, then this will be even more important. Install a self-cleaning chimney, if you wish avoid the troubles of cleaning the oil, dirt and grease from the kitchen hood. If you are planning to redesign your kitchen, don't forget to read this worthy guide for kitchen renovations. Let us know, which of these points have you included in your to do list.